Cyrus Audio are a British company founded in the 70’s by Farad Azima. Cyrus was innitially part of the Mission Loudspeaker group. 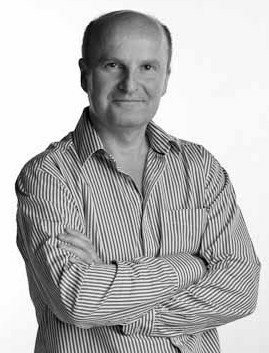 Current MD Peter Bartlett joined Cyrus/Mission from NAD in 1983 just as the Cyrus One became a huge sales hit. The Cyrus Disc-master and Dac-master where important steps and ten years later the first ‘SE’ CD players sounded so far ahead of the competition we gained international acclaim. Production engineering and making the world’s first hi-fi DML (Distributed Mode) loudspeaker, (the Cyrus Icon), was highly rewarding. Cyrus was the first hi-fi manufacturer to make an iPod dock and also the first to sell networked- audio streaming servers and clients. Part of the Cyrus Audio’s success is the iconic and now classic die-cast chassis in magnesium, and latterly aluminium. Using non-ferrous metals has always provided a massive sonic advantage to sound quality. Uniform design has also meant that Cyrus customers can confidently upgraded their systems over many, many years. Everyone at Cyrus understands that technology is the slave, while music remains the master. This approach has created a range of audio separates that is both modular and can easily be upgraded. Put simply you can buy Cyrus components and have them returned to the factory and sent back upgraded and performing better. A model from the six series can be made into an 8 series product. It is like buying a BMW 320 and sending it away for work and getting back an M3! Like Naim Audio; Cyrus also advocate the quality of the power supply in their design. This allows a further simple and relatively affordable upgrade to a large number of their components via the addition of the PSX-R2 power supply. The PSX-R2 power supply unit. Cyrus make integrated amps, pre-amps, power amps, power supply units, CD players, streamers and one box solutions. Cyrus a specialist audio company built around its Research and Development team, which encourages innovative ideas, feeding our obsession for ever higher quality reproduction. Our mission is simple – we want you to enjoy your music. Working to achieve this we allocate a great deal of time to our highest performing models. The exceptional engineering and technology used in these products forms the foundations of all our models allowing even entry level hi-fi components to benefit from years of research. Developing ultra-high-performance audio components requires skilled audio engineers and tuning ears with regular experience of the sound of live music across different genres and venues. The process begins with a document detailing the concept for the project, describing features and techniques that may help advance the current state-of-the-art. The Cyrus R&D team is next tasked with developing this concept through a series of prototypes each subject to listening assessments as we evaluate newly available components and the evolving layout of the circuit. While we design in many known audio concepts such as star-earthing and multi-layer boards, each design inevitably presents new opportunities to investigate new techniques to tune the sound. Although the sound is by far the most important tuning goal, we must also engineer for global safety, emission and energy standards. The Cyrus sound is an intentionally tuned acoustic picture; we want to paint a vast soundstage encompassing width and depth in which to realistically position the performers, extend the frequency range to capture ambient sounds, create deep and tuneful bass without commercially added upper bass, set precise timing and project accurate female vocal tones. Each component must conform to our acoustic palette as we want all components in a system to play a part in a consistent sonic image, and never to conflict. Although detail, dynamics, soundstage and other parameters improve with each new model, the sonic signature remains constant. This is what we believe will recreate the most lifelike performance in your home. We want to resolve the fine details that reveal the emotion and passion truly great artists share with us at the recording stage. Most audio systems unintentionally filter out much of the special magic that is evident at a live performance. It is our goal to refine our art so our components transmit more of the subtle details through to your listening room. The Cyrus listening panel may decide to re-spin a circuit many times through the development processes in order to be sure we have explored every option to refine our design. Each board may require comparative component auditions across as many as 50 parts, each shaping small but cumulatively important changes to the overall performance. Separate components always sound better because, among other technical benefits, they each have a dedicated power supply designed for the exact purpose. Cyrus has always believed that it is vital for audio components in a system to be voiced identically; otherwise it would fall prey to acoustic chaos. For example, consider the anarchy of assembling your own sports car made up of parts originally developed for taxis, tractors and trucks. Would you reasonably expect them all to perform as a balanced supercar? No, we wouldn’t either. Cyrus believes that audio system components should be designed holistically and voiced with the same philosophy; to play harmoniously together, so they complement one another. Cyrus has been at the forefront of CD development since 1983 when our engineers helped develop one of the very first specialist CD players. In 2015 Cyrus wants to make the best players in the world, irrespective of price. To achieve this goal we have developed our own CD read ‘engine’ we call Servo Evolution (SE) that reads data from the disc with 20% fewer errors than leading rivals. All our CD players use this custom made for high-end audio CD ‘engine’. Until recently Cyrus had considered Class D topologies to lack the performance required for our high-end audio amplifiers. However there are many potential acoustic benefits and so following a research project, Cyrus has developed several solutions that solve barriers to Class D’s successful use. Our development of S.I.D. (Speaker Impedance Detection) means that we can automatically analyse the impedance of the connected speaker (and cable) and adjusts the Class D amplifier to accurately match the consumer’s specific loudspeakers. S.I.D. is just one of a suite of solutions that allow this valuable technology to become an exciting amplifier opportunity. Zero Feedback is a sophisticated amplifier topology that requires experienced design engineering and manufacturing controls to work well. However the sonic benefits are legion, providing very good distortion characteristics among many advantages. Sonically this is a revealing topology suitable for our most advanced and high performance models, the Mono X amplifier platform. Cyrus believes that in many audio circuits short, direct signal paths are best. By eliminating both the coupling capacitors or the necessity for a DC servo used in standard preamplifiers to remove DC, this ingenious Cyrus design uses fewer electrolytic capacitors. We call this circuit a Virtual Servo because it does the same job, but with fewer components. A striking visual feature of a Cyrus system is the aesthetic lines of the half width chassis. Created by pressure die-casting aluminium, the beauty of this monolithic chassis is however more than skin deep. The hand finished casework is an integral part of the products’ sound. Cyrus has invested in sophisticated die-cast tooling to create an electrically shielded and mechanically vibration free environment for the sensitive audio circuits which are hung inside the inverted chassis. Microphonic interference can occur when certain components transform mechanical vibration into unwanted electrical noise if the chassis is excited. The Cyrus chassis has been designed to provide an enclosure that is immune from a wide range of frequencies. This acoustically inert enclosure protects the sensitive audio components from external microphonic influences. Inside a common steel chassis, components such as transformers radiate electromagnetic fields which induce unwanted electric currents and secondary magnetic fields within the ferrous box, thereby adversely affecting other components in the same enclosure. In the Cyrus die-cast chassis our choice of non-ferrous aluminium means this effect is avoided. This has two major benefits. Firstly, it enables customers to build up systems over time. The initial investment is never wasted as they upgrade and add complementary components to build a better system. Secondly, it’s environmentally friendly as it extends the life of older Cyrus units when customers decide they want to improve the quality of their hi-fi system. Many components can be returned to the factory to be upgraded to the next level up in performance. DAC cards can be added to give digital inputs to an analogue amplifier. Our advanced Qx DAC cards can be added to improve the performance of an existing DAC. All power amplifiers are gain matched, so you can improve the dynamics and resolution of your system through bi-amping or tri-amping your speakers. The performance of most Cyrus units can also be improved through the addition of our PSX-R2 power supplies. This feeds the attached component with strong, clean filtered power, allowing the complex electronic circuitry to perform at its best. Find out about upgrades here. Did you know that Cyrus regularly restores amplifiers sold up to 30 years ago? Our customers often hand down amplifiers through generations of a family and our service team can replace parts that degrade over time to restore the amp to its original glory. This allows each generation of user to enjoy the amplifier’s superior sound quality again. We estimate that 80% of our products are still in use today, making Cyrus one of the most effective users of materials in our industry. Cyrus’ longevity is clearly in sharp contrast with products made in low cost economies that may initially retail for less, but lack the long term value of better engineered products. Our customers appreciate that quality remains treasured long after the price is forgotten. The Cyrus factory is in Huntingdon, Cambridgeshire, England, where all our products are conceived. We design, prototype, tune, manufacture and support our products, both new and historic from this UK headquarters which is unusual for a modern consumer product. Cyrus is a privately owned company conceived and run with the core principle that, like our customers, we focus on premium stereo music systems. In a world where 99% of audio manufacturing happens in low cost economies, Cyrus has chosen to build our team of people and expertise in Cambridgeshire, where we are surrounded by a rich pool of excellence in education, technology, high-tech manufacturing and enquiring minds. Modern manufacturing processes mean that smaller scale, premium products can be successfully manufactured in England. In fact our decision to locate our manufacturing in one of the world’s most advanced economies, where high quality is expected, means we can set our quality standards higher. For all these reasons, our suppliers understand our requirements and because the UK is a world leader in many high-tech industries, we can access leading-edge technologies faster. Whether we are restoring your cherished Cyrus amplifier from 1983, or delivering a new system, Cyrus is set up to support our products over many years; and in many instances over several generations, as our products pass down through a family. We appreciate your investment in Cyrus and are proud to provide unparalleled service to extend the useful life of a Cyrus system. In order to perceive the vital, low level and sometimes quite subtle sounds that are the essence of a stunning performance, we want to have as much data as possible. While compressed music from DAB or online streamed services can sound good, it does not take long, even for those new to hi-fi, to appreciate that higher bit rate music sounds much better. To take advantage of the fast growing marketplace for downloadable higher bit rate music, Cyrus has developed arguably the most advanced High Definition, or HD, streaming “engine”, capable of 24 bit/192k FLAC and WAV files. We can also play most other file types as well, however, it is the high resolution CD quality and HD files that offer the most exciting sound quality. The chart shows the relative data rates between likely digital sources. Although most listeners agree that Bluetooth™ music at 352k is great, true hi-fi starts with CD and HD files which sound clearly better. This illustration shows the relative power of our amplifiers. As outlined in the amplifier pages, there is no substitute for power because we want to reproduce the dynamics as recorded. For example, a powerful voice should sound louder than the backing singers, and so to correctly reproduce this dynamic relationship, we need strong reserves of power. The percussive sound of a drum requires high dynamic (or bursts of) power to drive the speaker and therefore the more power in reserve, the more realistic the drum will sound. The chart shows how our more sophisticated amplifiers have higher headroom available, or to put it another way, better ability to provide bursts of short term power. Greater power is not about playing the music louder; it’s about presenting the difference between large and small notes so they sound realistic. Power is quoted into 6Ω because this is the real-world impedance of high quality loudspeakers.